As an industry, telecom service providers can vow to make new friends, lose weight, get fit and try something new. And, yes, they can have more fun. Every year around this time we “gaze into our crystal ball” to identify key trends for the coming year. But this year I’ve decided to do something different. So, instead I’ll share some suggestions for New Year’s resolutions that we, as an industry, should work on together in 2017. What’s the difference, you ask? Trends are defined by the general direction in which something is shifting or changing, whereas the dictionary defines resolution as “a firm decision to do or not do something” or “the action of solving a problem, dispute or contentious matter.” So while the trends of the past few years have prepared us to expect the unexpected when it comes to today’s networks and what users demand, now is the time for us to be bold in our solutions. 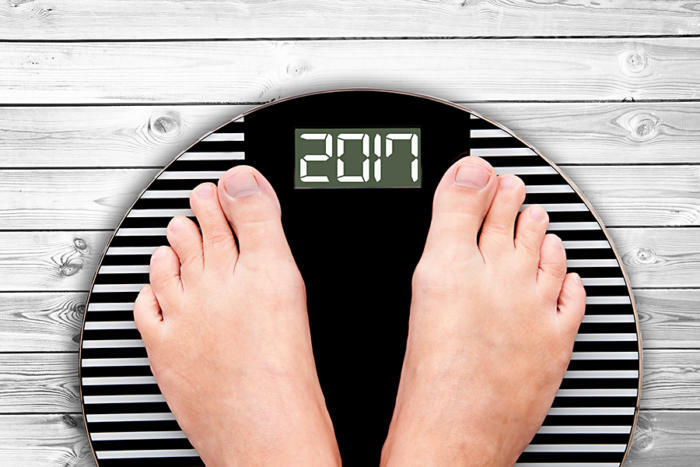 According to Nielsen, some of the most common personal New Year’s resolutions are centered around losing weight, staying fit and healthy, enjoying life, having fun and trying new things. So, I thought it would be both entertaining and informative to tie our industry resolutions to those same themes. Telecom service providers have always used IT techniques to transform hardware and software from their suppliers into sellable network services. The continuing massive growth of data centers, cloud computing and virtualization is making the IT and telecom worlds not just adjacent but actually codependent and converged. These two worlds are now so interdependent, and they need to be best friends. Need to do something in the cloud? Need to use the web to get to your customers? Want to bring a PaaS or SaaS offering to market? Think you can do it without the network? Better think again. You can have all the compute and store resources you want, but you don’t have any customers until the network brings them in. The use of open architectures and standards have been fundamental in the IT environment for some time, and they are now making their appearance in the networking world. At Ciena, we’ve fundamentally believed in the concept of “open” since our inception, and we continue to fully embrace it because it fundamentally enables greater choice and fosters innovation. Advancements in software continue to remove the limitations of proprietary and box-centric networks, enabling more flexibility and programmability. In fact, we recently worked with AT&T to provide open, software-controlled, reconfigurable optical add-drop multiplexers (ROADMs) that automatically detect and adjust bandwidth and move traffic to different routes as needed. With software, they can turn capacity up or down, route around trouble, and come back online quickly in the event of a failure. Ultimately, different network operators will take different approaches, but it is time for the industry to apply some of the concepts from IT to the telecom world and give operators the freedom to choose what’s best for their business. I’m not sure many of us could have imagined that we’d be chasing virtual Pocket Monsters around our neighborhoods or office parks, but the effect of Pokémon Go on the network was not exactly planned. And while the game’s popularity has subsided, it is only a matter of time before the next “killer app” goes viral. Practically every month, new reports are published about the expected traffic growth and future demands on our networks. To handle this growth, we must get Compute, Store and Connect working seamlessly together—and closer to the user. That means shifting to less hardware-defined architectures to those that are hardware-enabled but much more software-defined. Compute will need to be able to be fluidly moved around the network to handle real-time demands. Software-centric technologies like today’s software-defined networking (SDN) and network functions virtualization (NFV) techniques are early examples of the tools we need. Operators will use network orchestration as a complement to SDN and NFV to more quickly manage and provision services across a variety of network types and across a mix of physical and virtual networking devices. Dropping some of these hardware pounds will help transform the network into an on-demand platform that is more flexible and dynamic. The previous resolution also leads us to the notion that in addition to dropping some pounds, we should try new methods to help create an entirely new kind of network—one that can essentially "drive" itself, constantly checking and optimizing network demands and utilization via analytics and orchestration. We no longer need to be constrained by nailed-up circuits and fixed rates. With recent advancements in coherent optical technology—including rate-tunable, adaptive- modulation photonics, along with innovative software capabilities built directly into the optical layer—the network will become more agile and programmable than ever before. In most cases today, operators do not have real-time data from the network or the necessary analytic tools to make fast, informed decisions. While a network operator can predict an increase in capacity demand for large, scheduled events, it’s the more viral events, the organic upticks, that are harder—or even impossible—to forecast. But with analytics giving insight into where capacity should be directed, the self-driving network has the intelligence to autonomously reshape capacity in real time so that it can ramp resources up or down on a moment’s notice. Now is the time to invest in programmable solutions. It’s no secret that security has become much more than a boardroom issue. A November 2015 Ponemon Institute study found that 47 percent of respondents say their organization had a material security breach that compromised their network or enterprise systems. That attack could have been an external hacker, a malicious insider or both. This is not a problem that’s going away anytime soon. According to the last findings of the Breach Level Index, data breaches increased 15 percent in the first six months of 2016 compared to the last six months of 2015. But we—the industry at large—have a fiduciary responsibility to fend off this trend, at least at the network level, to secure the range of devices and applications that generate and use enterprise data. To do that, we must take a holistic view and adopt a security approach that safeguards the network from end to end. It's not going to be enough to assume that the application layer is going to handle all the needed encryption. For large infrastructures with lots of apps running, policing every one individually won’t be enough. Networks will need to go even deeper and apply bulk encryption techniques at the physical or optical layer. That way applications and control planes, all the traffic, is protected. This in-flight encryption during transport provides a strong and effective safeguard, offering an additional level of protection to enable rigorous end-to-end network security. Making this shift to a dynamic, open, yet secure network environment also means changing the way we incubate ideas and how we focus research and development investments. Proving out ideas in a telecom environment is traditionally tied to physical buildings with expensive lab equipment. This has historically meant that the process of starting the operations and IT transformation that converts hardware into a sellable service, along with the associated back-office support, is often put on hold until the network is up and running. As the IT and telecom worlds converge, we can embrace cloud techniques as a means of testing new telecom service models and applications. For example, at Ciena, we created an open application development environment that we call our Emulation Cloud. It allows our customers and developers to create, test and fine-tune customized applications that interact with emulated hardware. This environment is tailored to their specific needs. In fact, we recently held a coding competition with some of our research and development partners in Asia, where teams of students used the Emulation Cloud, as well as open software tools and interfaces, to create new applications for a Data Center Interconnect use case. Environments like this are all hosted in the cloud, so there is no need for development to occur at a specific lab facility or to wait for a hardware installation. Developers can tinker, play, test and collaborate together without having to invest in any type of infrastructure. We’ve been talking about the promise of cloud for a while. Now is the time to embrace it—innovate, experiment, and test. While most people think about New Year’s resolution in terms of personal goals—such as losing weight, saving money or spending more time with family and friends—it is not often we map out resolutions in our particular industries. So, what do you think? Are there any resolutions you would add to this list?